Monday was my last day with my hand in a cast, and I was ever so happy to get rid of the bandage. I was also looking forward to get down to writing again these last five weeks have been difficult, I kind of lost my focus. Even though I had prepared myself to the fact that my hand might not be “good as new” I was fairly disappointed Monday night. I could barely move my fingers, and the acing was increasing. I was still bleeding from the two operation wounds, and I was feeling quite miserable. So I had to do something that could make my world better: I started writing again. Yes. Well, the first night, I wrote 27 words. And I decided on my main characters names and age. Tuesday I wrote about a 100 words, and renamed my main characters. Yesterday I cut about thirty words of what I had wrote the previous day, and I went back to the original chosen names. Today I’ve written close to 1500 words. What happened? Well, I understood I was afraid of using my hand, and mostly unable to do so. So I needed something else to inspire my writing, and I went back to reading some of the advices that are offered us on the internet. My new book is a children’s book. So it might seem strange that I turn to Elmore Leonard for advice, but that was my intent. To challenge myself and my writing! 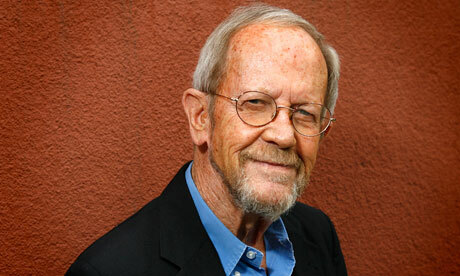 There is no greater writer of crime fiction than Elmore Leonard, and no one who has more resplendent energy. Leonard has had the classic career of a market-oriented novelist, and he really knows what he is talking about. 9 Don’t go into great detail describing places and things, unless you’re Margaret Atwood and can paint scenes with language. You don’t want descriptions that bring the action, the flow of the story, to a standstill.